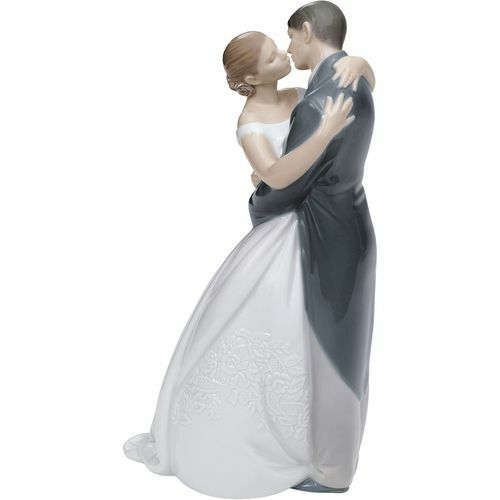 A kiss forever, depicts the most romantic bride and groom from the NAO collection. The couple is depicted in a loving embrace, just at the moment when kissing as newlyweds. This scene conveys all the love and emotion shared by a couple on their special day. Particularly noteworthy is the ornamental wealth of this beautiful sculpture, with careful attention to every detail, from the floral arrangements decorating the Brides dress or the wedding rings worn by the bride and groom on their fingers.